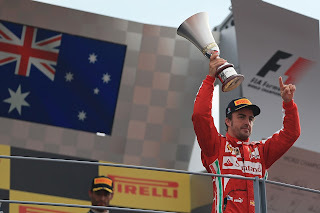 Fernando Alonso finished in a worthy second place in the Italian Grand Prix, and then received much adulation from the assembled tifosi when on the lauded Monza podium. But still he quietly simmered. And with reason, as he was egregiously let down by the fourth estate of the media after the previous day's qualifying session, who'd managed to create one heck of a rumpus on his behalf, and from almost nothing. They said variously that he on his team radio during the qualifying session had barked that his team were 'really idiots' or similar, after attempts to have Felipe Massa help him via slipstreaming didn't come off. Moreover, some claimed that he said 'you have to let him' - by which they said he meant Felipe Massa - 'go', however we are to interpret that. Only he didn't say any of this. Didn't even come close. And you can guess what happened next. Sure enough, once this was reported after Saturday's qualifying it was like flicking a switch. Many didn't wait for the full story, instead it seemed they were determined to believe the worst possible interpretation about a driver whom in many cases they clearly already had negative predispositions about, to crank up their offence, and to tell as many people so in as short a time period as possible. Social media, internet comments and forums descended into an ocean of faux outrage, with many seeking to give a convincing outward impression that they'd never heard of anyone raising their voice before, but the transparency of the relish with which they did so gave their motives away. Cliché followed cliché: Alonso had 'thrown his toys out of the pram' (whatever the heck that means); Alonso is 'poison'; Alonso is a spoiled brat; this was 2007 all over again (six years isn't long enough penance clearly); this was civil war erupting; Alonso would be sacked before the day was out. The only tiny flaw however in all of this was that Alonso hadn't said anything like what was being claimed. It was revealed a while later that for one thing he was talking about having to let Nico Rosberg, on a quick lap, past him - not about Felipe Massa or the slipstreaming tactic. For another, rather than rant that his team were 'all idiots' or 'all stupid', he'd rather offered the sarcastic aside that they were 'geniuses' (as the Italian words are similar). While he clearly didn't intend it to be flattering it was all infinitely milder than the initial skewed 'translations' (one can only guess where and how those originated). It was a world away from 'you're idiots, get Massa's head on a spike'. 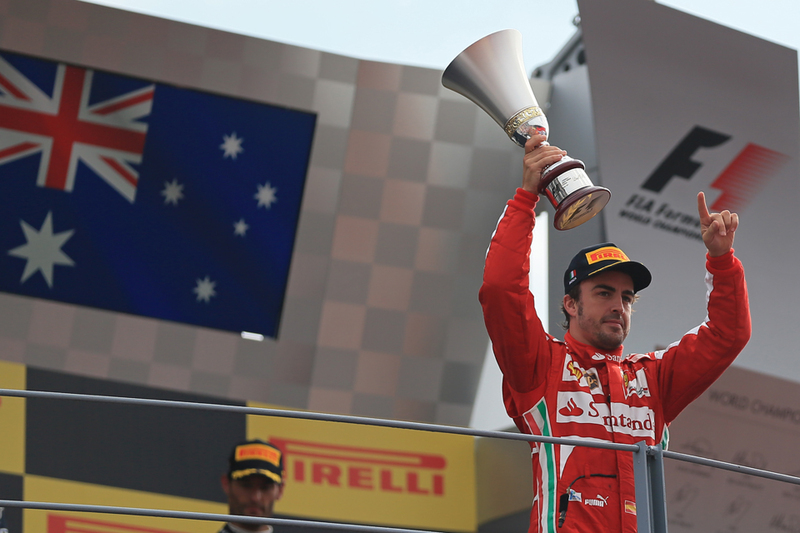 Frankly it was a grand fuss over next to nothing: Alonso's comments were the sort we hear routinely from drivers right across the grid (and, to take a peculiar example, when Kimi Raikkonen says similar he gets celebratory t-shirts made about it). In the highly-stressed situation drivers are in when in the cockpit, with their every word said over the radio available for potential broadcast, it only amazes me that we don't hear similar more often. Further if Alonso's words really were enough to offend you then I'd suggest your only hope is to go and hide in the nearest attic and never come out again. Those who jumped the gun to condemn Alonso in my book have absolutely no excuse. That in the initial throes no two translations were the same it seemed should have sounded alarm bells that this required particular caution; that clarity had not been established. That the words' context and timing - including whom he was talking about 'letting go' - wasn't clear should have done so too. That it was a rather fuzzy radio message being interpreted, and then translated from Italian into English, should have done similar. And moreover that it was something that, possibly, was fitting in with the predispositions of some should have led them to treat it with more scrutiny, not less. You must always be wary of believing only what you want to believe. But it all seemed a demonstration of the celebrated words of Mark Twain, that 'a lie can be halfway around the world while the the truth is putting on its shoes'. And perhaps in the age of the internet it needs to be re-defined: it seems these days the lie can and usually does travel the earth's circumference several times while the truth is still floundering in its socks. It underlines the importance of making sure you're getting it right. 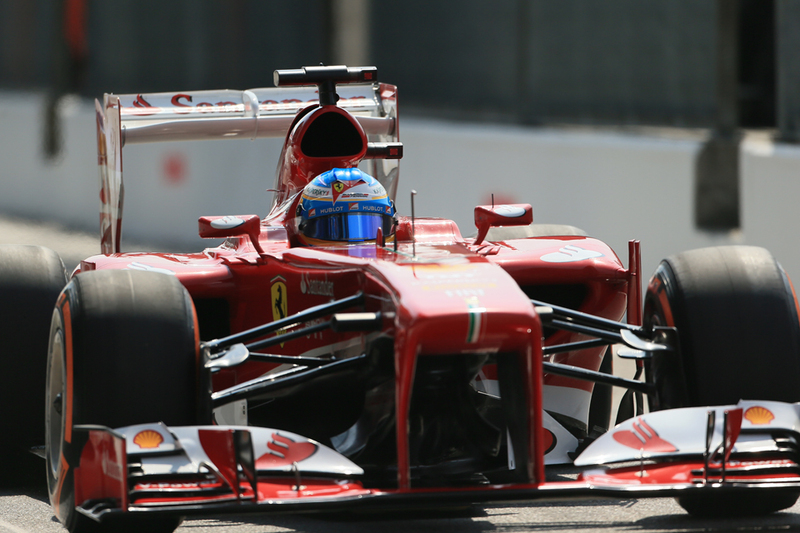 And the sad fact is that even now there will be those who'll believe the jaundiced version of Alonso's comments. Partly because it got there first; partly because they, well, can. And before we reach the conclusion that this is a failure of the new media, both of F1 websites and of social media, well the established media seemed just as guilty. Both the BBC and Sky reported the extreme negative - and inaccurate - version of Alonso's words on air and on their websites. Interestingly I haven't seen many retractions or apologies since for misleading people. Or any. Some outlets still even now have their reports live containing 'idiots' and that he was saying Massa should be 'let go'. Google it if you don't believe me. But it all to me seems however related to the internet in a way, in that the modern 24 hours a day/constantly updating media appears rather to prioritise getting stories out quickly way too much at the expense of accuracy. And add in the sound and fury of those determined to pounce on any opportunity to get themselves into a lather about a driver whom, from whatever warped logic, they've decided that they don't care for, and you have a potent mix. We saw that last Saturday. Thank you so much for this. This needs to be shared everywhere. I honestly fail to understand how Alonso gets THIS much hate from so many F1 fans. Thanks very much, glad you liked the article :) I struggle to understand the Alonso-bashing too. Indeed, while I understand that fans will always have their favourite drivers, actively *hating* a driver is something I absolutely fail to identify with.